A person can collect energy from several different levels of vibrations–including color–that are utilized in various parts of the body. Throughout our body we have main energy centers, which are connected to major organs or glands that govern other body parts. Each of these main energy centers are referred to as chakra–chakra is a Sanskrit word which means wheel. A chakra is a wheel-like spinning vortex that whirls in a circular motion forming a vacuum in the center that draws in anything it encounters on its particular vibratory level. The seven main chakra centers are aligned along the spinal column. If there are disturbances on any level, this shows in the chakra’s vitality level. Also each of the seven main chakras is their own intelligence center. 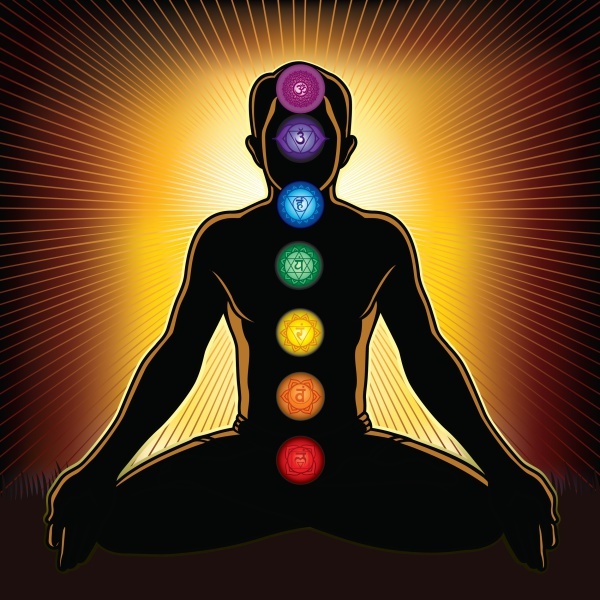 This means that each chakra is not only associated with our physical health but also controls aspects connected to our emotional, mental and belief system.